If you are interested in connecting with me and others who are Christ-centered health-minded people, then let’s do it! (I’ll be putting together the first team on this site in April 2017). Are you crazy about Jesus? Do you coach, mentor, lead, disciple, or instruct others towards Christ? 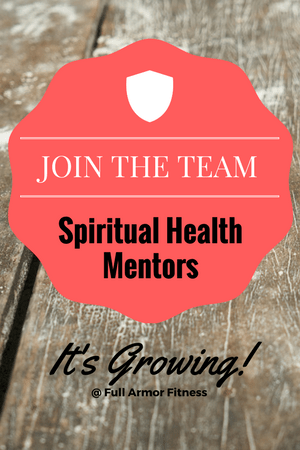 Do you help others with their health either spiritually, physically, mentally, socially, or emotionally? sus. God wants us to connect with each other – and this is one way to do just that. Take advantage of connecting with others that God places in your life. We’ll post your picture, a short bio, how God is using you to further His kingdom, and what service you’d like people to know about. I’m an author and I love to help others get healthy physically through personal training. You can supply a link to your web site or contact info so others can connect with you. I’d love to hear your story and how this site and community can bring us all together. Start by filling this form out and then I’ll get with you soon! I’d love to hear your story and how this site and community can bring us all together.